We nod our heads in agreement or in sympathy, having once perhaps been in the same situation–visting church after church, Sunday after Sunday, often left feeling defeated or discouraged. A few months back, I had a similar exchange with someone and, as I replayed the conversation in my mind, I got a little angry. I realized, I don’t think we are supposed to church shop. Ever, in fact. The reason we are not meant to church shop is because shoppers are consumers. Shopping, by definition, is the process of going from store to store in order to examine, hunt, compare, and inspect goods. 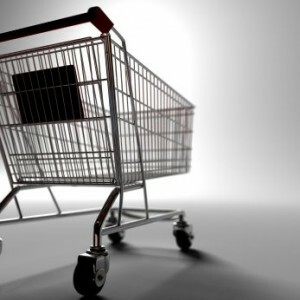 Shopping supports consumerism–the preoccupation with consumer goods. Shopping and consumerism support back-to-school sales, Memorial Day sales, Black Friday sales, and Cyber Monday deals. The difference, however, when it comes to the church is that Jesus did not climb up onto that cross for consumerism. The church, His beloved Bride, is not meant to be a people driven to consume. The people of God are meant to be servants, not consumers–to give, not take. So, when we casually say that we are church shopping, we are perpetuating the mentality that the church is meant to feed us–give to us–supply us–fill us. What if, instead of our fear of committment ruling us or our laziness directing us, we allowed the Holy Spirit to lead us? What if we prayed about where God would have us, because He actually cares more than we do? What if instead of looking for the ways that a church can fulfill or feed us, we began looking for the ways that we can serve and take part in the body? Because, instead of church shopping, we should be job searching. We should be contributing, not consuming. Building God’s Kingdom not attempting to buy it. What if we stopped being church shoppers and consumers, and instead became job seekers? When we can throw out our list of church “must-haves” and begin to see our true place in the church. When we can began to look for ways to build up, bless, serve, equip, and give to the church, not merely take from it. When we are looking for a job, sure, we want to hopefully make a little more money or gain a promotion. But, we all know that the times we feel the most satisfied and fulfilled in our career are the times when we are valued, integral, contributing, and connected. It would be foolish for us to believe that God has any less for us. Have you ever church shopped? Do you agree or disagree with my thoughts here? How do we become less of a consumer Christian and more of contributing Christian? Because churches require our money. They are big businesses with articles of organization supposedly derived from gods administrative offices. So since they require our money in a club like atmosphere, it is necessary to find one that uses that money for True good. Melamine altars and plywood crucifixes. Not $500 Easter preacher suits, and gilded pulpits. Since church is nothing more than a business or country club, how could anyone think otherwise. Some sects are worse than others. So yeah, shop for one. Jesus won’t send shepherds in fields without church access to hell, nor will he you so it’s totally optional. I agree, that many churches are run like businesses. They are essentially selling a good–they sell their programs, children’s ministry, their pastor, their worship band. And while I can say that I don’t support “big church business”, in fact, I’m a part of an organic church which is the opposite of that idea–I don’t ever want to be foolish enough to believe that God cannot move among any type of church. Or that God doesn’t specifically lead His people to specific places for specific purposes. Thankfully, the Holy Spirit is bigger than a $500 Easter preacher suit or any other production and show. Church business is less than ideal, but God can and does still work despite it. Thanks for the insightful and thoughtful comment James! Nicole, you hit the nail on the head! Amen, sister! It’s not about us, but all about HIM! Church Shopping v. Job Seeking, Consumers vs. Contributors…I love it! We are shaped by our culture, and the church is not immune. Your post provides good wisdom for Christians to say yes to the good in our culture, but to say no to it when it makes us less like Christ. This post is timely, persuasive, and Spirit-filled. I think this only works if you’re theologically comfortable where you are and that theology fits neatly into a denominational bracket and model. I, however, do not. My perspective on the Eucharist is much more Anglican or Episcopalian, but my perspective on baptism is Baptist. My approach to the atonement is rooted much more in Eastern Orthodoxy. And the list keeps going. The more time you spend reading Scripture and then reading what others say about Scripture, read the church throughout time, read the saints and the commentators and the rhetoricians, the more you realize how complex our beliefs actually are. Therefore, I spend most of my time “church shopping” in new places not because I am looking to be fulfilled, but because I am looking for the place where the most important theological norms are being somehow met. That has to change between different countries and spaces, but that sort of “shopping” isn’t about me, it’s about trying to find a place in which the complexity of theology can be respected. That’s not to say there is a place where all of those things suddenly are, but, it is a recognition that the search is for that openness and orthodoxy. Spare yourself the trouble and simply make Jesus your theology. Simple. There is nothing difficult or complex about our beliefs, until folks come along and seek to compartmentalize Jesus into comfortable boxes of ideology and theology for the sake of theology. Love God. Love your neighbor and yourself. Preach The Kingdom in word and deed. Simple. Thank you for taking the time to comment and share your thoughts here. While I respect your seeming love of theology and orthodoxy, it seems that the main point of my point was misunderstood. After reading your comment, I couldn’t help but wonder if you have ever stopped and submitted your search for the “most important theological norms” to the Lord. And I say this, not to demean you or undermine your heart or experience, but I wonder if God would really be as interested in your theological well-being as say your relational well-being. Because in my experience, my spiritual family (what other would call “church”), empowered by the Holy Spirit, has brought about the most healing, freedom, growth, and safety I have ever experienced. And within that church family, we have varying and unique theological standpoints because at the end of the day, we are not concerned with lifting up our personal doctrines but lifting up our intimate and lovely Jesus. It is Christ that binds us, not our stance on original sin or baptism, communion or open theism. You said that shopping isn’t about you but rather you trying to find a place where the complexity of theology can be respected. I will tell you this–there is no such place. There is no place where every portion of scripture will be handled, understood, respected, or honored in the way you may desire. Thank you for your thoughtful comment Preston. Relationship is ‘theology fleshed-out’. How can it be otherwise? For surely, having an intellectual Salvation makes for lively debate with others who share such a thing, but for those of us sitting at our Father’s feet, interacting relationally with Him, it is merely background noise. Here, here, I love this post! I am defnitely ‘for’ the idea of looking around for a church that is where God wants you, but when you find it, stick with it! I feel that people are often in a ‘grass is always greener’ state when it comes to most things and that includes church. The church is made up of people (and that includes ALL churches) these ‘people’ will inevitably let you down and also make mistakes at times. That does not mean its an excuse to ‘shop around’. Any church you attend will have it’s faults but as long as you feel it’s where God wants you to be then get stuck in and serve – well said that girl! I have now been a church-shopper for about 3.5 years. I admit it. AND I agree with this post. It’s important to have a Church — not for me, but for the body of Christ. It’s important to find a church to serve in, to contribute to others in relationship. However, I don’t think that church has been as easy to find for me. Honestly, I can compromise on personal preferences, but it’s hard enough to find a church that is serving and that has members that really want to find relationships within the Church. So though I have this servant attitude toward church as you also described, I feel like the church search has still continued. . . .dum, dum, dum. . . When I first returned to walking with Him, my wife and I did “shop” for a church, but most of what we were looking for was a place where the Spirit moved openly. Sadly, several fellowships we visited had no signs of life whatsoever; at one we were rebuffed for talking too much in Sunday school: we dared ask questions about the lesson, but their way was to just read the lesson – no discussion, no thought, just turning pages. It took us a while to find a place where God’s people gathered and let the Lord do His bidding with them. (No gathering is perfect, we just went through a nasty split brought about when we took our eyes off Him and started looking at ourselves too much.) All that to say that we DO need to use discernment when searching for a place to put our gifts to work. I agree with your basic admonition, but I think there are more sides to the story. Sometimes the Spirit leads us to stay put, but other times, he leads us to move. Churches are not especially good at articulating a vision for being on the move while still being part of the body. Sometimes a church shopper is just that, a person shopping for services to meet some felt needs. But I think the inclination to leave a church after a while is not necessarily a symptom of “buyers remorse”. When we trust Jesus, we’re adopted into a family. We’re also enlisted into an army. Sometimes he ships us out to the battlefront to claim some territory. Well-said and point taken. I’m not suggesting that as believers God is going to ask us to stay put…forever. Of course not! God often asks us to move, when it seems the least convenient and scary. My point, in this post, was not to say that we have to stay put, but rather that when we are looking for a different church experience that our mindset would not be one of what does this church have to give to me, but rather where can I fit into this body and serve? One is a mindset of taking, the other of giving. One says that the church exists solely to feed us, when in fact, it exists so that we might be able to feed others, s well. I’ve been thinking lately about the process different churches use to decide when a new person can be identified as a “Christian” and also be deemed “one of us” or a “member”. Institutional churches use a variety of membership hoops to assimilate people. How does your church move people from “visitor” to “part of the family”? Some other questions: Can I be a member of your church but not show up every week? Can I be a member of your church and go to another church sometimes? Without you feeling betrayed? Again, great questions. You know, to be honest, we have left so much of those details up to the Holy Spirit. We’ve had new people visit and usually they are automatically “in” meaning they want to call this church home or they don’t. And as far as new people feeling like family, it doesn’t take long. Much of that is up to them and their willingness to be open and vulnerable. For some that takes longer than others. We do have other families who do not actively attend our church and are not a part of our church family on a weekly basis, but we still consider them family. People who live in crisis, battling addiction, healing from adultery, struggling with homosexuality–who come when they need to, or who stop in from time to time, or who show up only when disaster strikes. We love them all the same, welcome them all the same, and take them as they are whenever that is–just like a healthy loving family would. As for attending other churches, to be honest, not many of us do only because organic church life–if it captures your spirit–is quite hard to live while still attending institutional church. It’s not impossible, but unlikely. There is never a feeling of betrayal, however. If people are still attending both or multiple churches, that is okay, but ultimately people feel they need to make a choice which they are free to do. A person lives organic ekklesia, as compared to how a person attends institutional church. Lifestyle application versus religious check box. I fit in with Preston a bit here. However, as a person who has been tied to church most of her life because I am affiliated with people who work there, it is MUCH harder. My gifts haven’t always fit (or been welcome, in fact!) in the places where I’ve landed because of family affiliation. That makes it even harder. I do agree that looking at our consumer culture from this perspective will make us change the way we view all relationships: church, family, friends, neighbor. For me, church shopping–or selecting–has been necessary multiple times because I’ve moved multiple times. While I think there are people who will just leave a church just because they can’t be pleased, or will look for a church just to see what they can get, it’s not always like that. I blogged through my process of “shopping” and I did hit on some of the same points you made here. I totally agree, however, sometimes the shopping must happen because some churches will not allow people to contribute in the way they are best gifted for (i.e. women in ministry). It makes a world of difference to be in a church where one can use one’s gifts and is encouraged to do so. I’d say that is a way of consuming–of being “fed”, to use Christianese–but consuming in order to give to others. Different people are given to different ways of expressing and living out their Christianity. There’s nothing wrong with trying to find a group of like-minded people to share your particular expression of faith. Consider this; why have you joined you’re local Catholic church,or, if you happen to live in Kansas, why haven’t you joined Westboro Baptist? Unless you eat the flesh of the Son of Man and drink His blood, you have no life in you. Whoever eats My flesh and drinks My blood has eternal life, and I will raise him up at the last day. For My flesh is food indeed, and My blood is drink indeed. He who eats My flesh and drinks My blood abides in Me, and I in him. It’s not a question of ‘are we to be consumers’ but “what are we to consume’? Where does our life come from? Focussing further in on the point of your entry. Does Christ have one body or many? Is the body and blood one or many? It’s all connected. One Eucharist; one body; one church. Church shopping is the inevitable result of any other understanding. I understand your point, and while I could call it semantics, it is not. When I referenced consumerism, I was clearly referring to the American preoccupation with “things” and “stuff” of which we tend to then project onto the church. We see the church as another good, service, or product for our enjoyment. I have been thinking about this post since I read it yesterday. But in light of your previous post, “The One Thing the Church Will Never Give You,” I have a couple of thoughts. I agree that when you reach a point of being beyond “milk” and getting into “meat” of the gospel, being a consumer is not what finding a community of believers is all about. My husband is what I would consider to be a “baby” Christian. He is still at the “milk” point of his walk and is in need of mentorship and discipleship, particularly from a male perspective who can guide him and show him what it means to be a Godly man (particularly because he was not raised with a father who was able to show this). We have been going to a church for over two years and he has made efforts, as he was able, to get to know new people and be involved. But in this particular body, no one has been available to be a “Paul” and mentor him. I understand it is each person’s responsibility to make a connection with God and establish a personal relationship with Him. However, you wouldn’t expect a “baby” to feed themselves and be capable of getting the nourishment they need, let alone helping to nourish others. A “baby” would need a more mature individual to help them with all of that. And so, I just wanted to share that while I agree with your post, I would also say there is a huge need for discipleship and mentoring for those who are new in their walk. If the mentoring and discipleship is not there, I would say, and am currently experiencing, there is a valid need to find a place where this can happen. I am currently not attending church. I stopped attending when I moved back home. Sure there are plenty of churches for me to chose from. After all I live in Texas near a major freeway where different church buildings are across from each other. Do I still love Jesus? YES! Do I meditate in his teachings? Not as much :( But not on purpose. I just struggle with time management. There are days when I’m at work and surf the net to look (shop) for a church community. But then I catch myself saying “Oh the facility is too small or big”, “The pastor looks like he’s in his 90’s and he’s probably boring” or “The singles group looks lame” lol. I know it’s horrible!! I’m struggling with finding a connection to the body without the mentality of a consumer. IDK, at the same time I don’t really feel like I’m being led to a church (building anyway). The thought’s occurred to me but I’m a) content with the church I’m at and b) too lazy. The lesson of this article and contribute to the church. Nay, the community!